Boca Raton is not only a college town but also a vacation destination for families looking to hit the beach and indulge in some of the luxurious offerings available around town. Boca Raton has a vast selection of hotel options; all in varying price ranges and distances from the Florida Atlantic University campus. 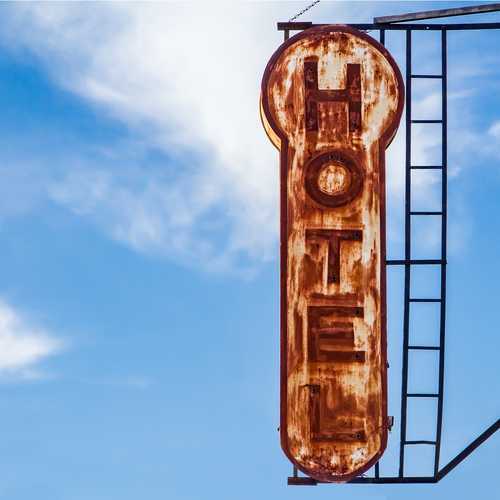 There are a few different things to consider when booking a hotel to visit your student. Some may want a suite, free breakfast, close proximity to campus, or perhaps a hotel with a beach view. Some parents may want to bring the family dog along for the visit. And some may want to make a full vacation out of the trip and opt to stay in Delray Beach or Ft. Lauderdale. Whatever your personal preference may be, there is an option to suit your needs. There are several Hilton owned hotels within a close proximity of the Boca Raton area, however, some are closer to FAU than others. The Hilton hotels closest to FAU are Hilton Boca Raton Suites, the Hampton Inn Boca Raton, and The Embassy Suites by Hilton Boca Raton. Both of these hotels are about 3 miles from campus. But before you pull out your Hilton honors cards, there are a few other Hilton options to consider. For those wanting to stay closer to the beach, the Embassy Suites by Hilton Deerfield Beach Resort and Spa is a great option. This hotel is beachfront, with a large pool and located near several popular restaurants. This hotel is about six miles from the FAU campus. The Waterstone Resort and Marina will give you more of a resort feel, they have a few restaurants on-site and every room has a water view with a balcony. The Waterstone resort is located on Lake Boca and is about 1 mile from the beach. The Waterstone is about 4 miles from FAU’s Campus. The Waterstone is pet-friendly, however, you must pay a pet fee of $125 a day. We couldn’t talk about Boca Raton and not mention the Boca Raton Resort. The Boca Raton Resort was originally built in 1926 and was designed, partially, by Addison Mizner. (You learn more about him as you visit popular sights around town) The Boca Raton Resort is a Waldorf Astoria hotel, (which is owned by Hilton) it is a renowned, luxury resort. Situated along the Intercostals, guests have access to a private beach and world-class service. The Boca Raton Resort offers spa services, golf, ten dining locations, boating, shopping, and much more. Stays at the Boca Resort can be difficult, it does book up during high season and prices can be high. There are several Marriott brand hotels near FAU, the closest being Fairfield Inn & Suites, Courtyard, Boca Raton Marriott, Towneplace Suites, and Springhill Inn & Suites. These are just to name a few, there are several more within the area. All of the hotels listed are within a 3-mile radius of FAU. The closest, however, being Fairfield inn followed by the Courtyard. The Fairfield Inn and TownePlace Suites are both pet-friendly, both with an extra charge of $100-$125 for the entire length of stay. Marriott also has quite a few beachfront resorts. One that I have stayed at was the Delray Beach Marriott. This Marriott is about 20 minutes from the FAU campus, however, it is a great option for those looking to tie in a getaway while visiting their student in sunny South Florida. The Delray Beach Marriott is located in the heart of Delray Beach, FL. It is situated on Atlantic Avenue, which is bustling with restaurants, coffee shops, ice cream, and boutiques. The hotel is directly across the street from the beach. The Delray Beach Marriott also boasts a full-service spa. There are two Holiday Inns located near FAU’s campus. Holiday Inn North Boca is less than 2 miles from campus. A stay at the Holiday Inn includes a free breakfast. It is just a short drive from campus and located near many shops and restaurants. Holiday Inn Express Boca Raton is a little further west, approximately 5 miles west of FAU. For more information on special rates, click here. Book that hotel, pack up your Owl gear, and head on down to Boca Raton! Go Owls! Finally, while visiting, make sure you see our list of recommended restaurants.